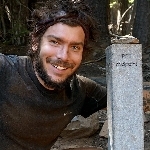 On March 29, 2018 I will begin my thru-hike of the Pacific Crest Trail. The PCT begins at the California-Mexico border near Campo, California and ends 2650 miles north at the Canadian border. Thoughout my hike I will be partnering with the American Foundation for Suicide Prevention (AFSP) to raise funds that will go towards research, educational programs about mood disorders and suicide prevention, and programs and resources for those affected by suicide. For every mile I hike I aim to raise $1 for AFSP. My goal is also to create a dialogue with people, whether it be online or on the trail, to spread awareness and help destroy the stigma of mental illness. UPDATE: By the time I hit mile 950 my goal had already been achieved. Since I continue to receive questions about donating I have extended the goal to $3,000. Thank you all so much! Please consider donating on my behalf to the AFSP to help me reach my fundraising goal of $2650. AFSP allocates funds to research, advocacy, survivor support, and awareness programs- both to prevent suicide and to assist those affected. Any size donation is much appreciated and will surely make a difference, perhaps even save a life. This adventure will challenge every aspect of my physical and mental being, making moral support crucial. Don't hesitate to reach out via social media, text or email. Please spread the word by clicking the SHARE button at the top of the page or reposting any of my posts on Instagram and Facebook. Donations of any size are very much appreciated and will make a difference. All donations are %100 tax deductible.